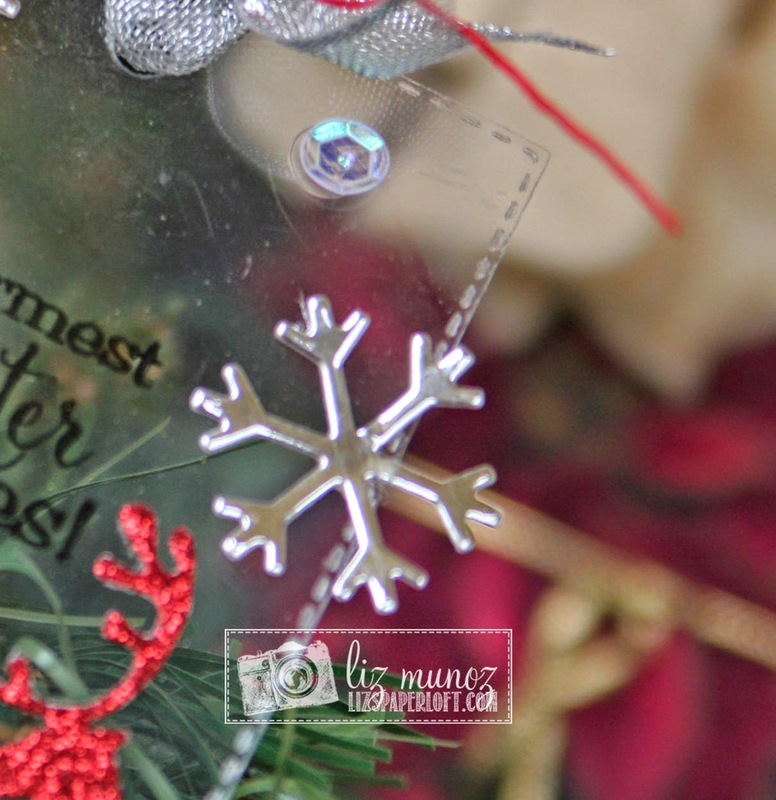 Liz's Paper Loft: MCT Tag It Tuesday ~ Winter Wishes! Hi Ya! 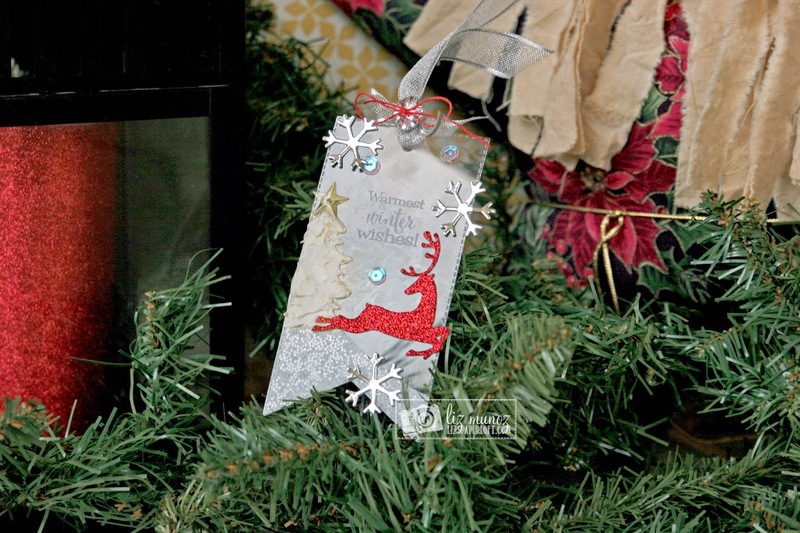 Today is Tag It Tuesday over at My Creative Time! Can you believe it's almost Christmas?! It feels like it was just summer! Well probably since it was still 80 degrees just a few weeks ago. hehehe Well I better get on it and get my stuff done, ready or not it's gonna happen! 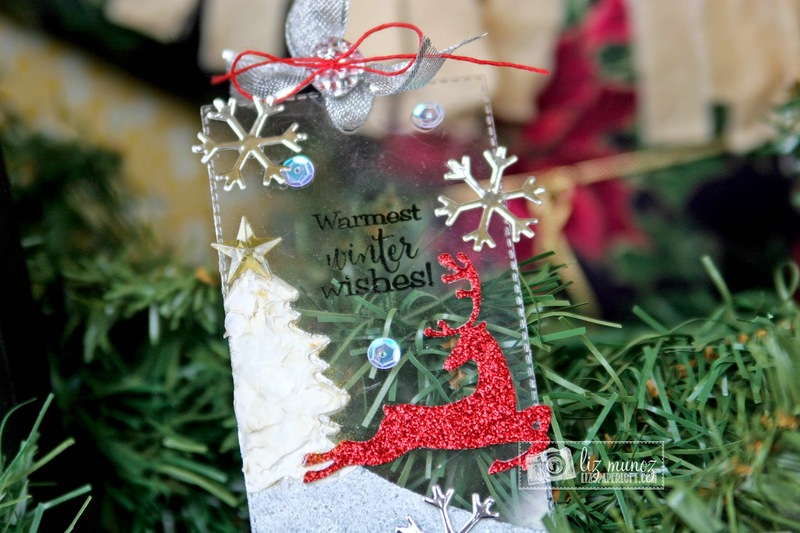 Recently I saw a wintery tag made with clear cardstock and thought it was just beautiful! I had never thought of using clear cardstock for a tag. I think this be so pretty on a card base. During our last release I had created stencils with clear cardstock using the tree die and fun edge dies. By making them out of the acetate, I can use them over and over again. Your Snowflake looked so pretty on your tree and your tag is gorgeous OMG Miss Liz love your super fab clever and creative ideas and you sure had them a plenty for your tag. Definitely one outstanding creation!! YOU so ROCK!! Absolutely gorgeous! I love all of the sparkle and texture! Love the sparkle and dimension of your beautiful tag. You are right...clear card makes a wonderful tag and it would look cool on a card or layout too. So pretty Liz. Your tree must be beautiful with all of your creations. Oh my gosh, this is gorgeous! What a fun look! The deer is so sparkly and beautiful and love the texture for the tree! Fabulous job on this Liz! Love all the beautiful elements of your tag and how they came together to make this fabulous tag!! This is gorgeous Liz!!!!! What an awesome tag!